While you are traveling, or just left your home for work, security should always be your first concern. And this is not just for ourselves and our own safety, but for the possessions and belongings in the house as well. 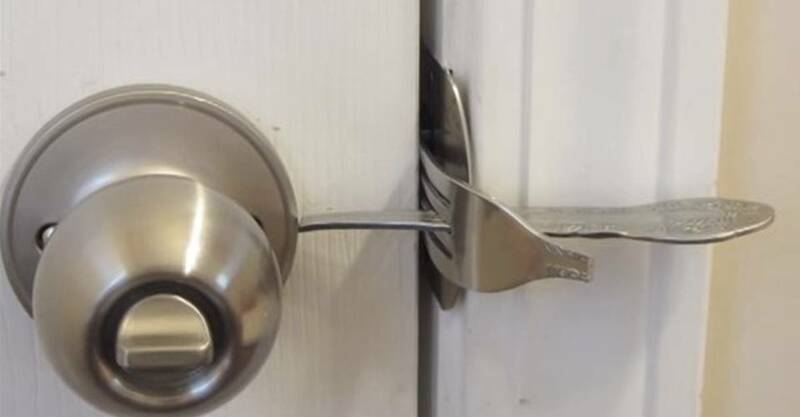 I came up with a way to lock a door by modifying a dinner fork. Some folks may have seen my earlier video on my channel called "portable door lock", which I made from flat 1/8" steel . The Fork Lock, however, is way easier to make. This lock is very useful when wanting to add a little extra security to a motel room, public restrooms (which often have broken locks), or on any interior, or exterior door.